As I sit here sweating in the middle of January it’s hard to imagine that it’s cold somewhere. Our friends back in the U.S. are still working, yet I’m only 53 years old and happily retired now for two years. The past two and a half years have gone by quickly as we’ve settled into our new life in Panama. It’s so nice to wake up and be able to do whatever I want to do. Do I want to go work out at the gym, go hiking in the mountains or walk along the beach? Maybe today I’ll do some writing, have lunch with friends or take a nap in the hammock. The choice is mine and mine alone without any bosses telling me what to do. Although my husband Clyde loved being a firefighter and paramedic in Corpus Christi, Texas for 26 years, he had always wanted to retire at age 57. I was working in customer service at a medical equipment company and was all too willing to call it quits. But with the high cost of U.S. health care we couldn’t afford to retire early and stay in the States. If we wanted to pull this off we needed to find a place where we could live comfortably on Clyde’s pension. On our next vacation we checked out Panama and fell in love with the climate, the laid-back lifestyle and the people. Panama still tops all the lists as the best place to retire in the world, for many reasons. With top-notch affordable health care and one of the best retirement programs in the world, it seemed to fit all of our needs. Here we take advantage of discounts on most everything from restaurant meals, airline tickets, movies, hotels, utilities, and so much more. Being from South Texas we love the warm, humid weather, but for some of our friends, the cooler temperatures on offer in the mountains are just perfect. We can drive to the Pacific Coast beaches in about 15 minutes or visit friends in the mountains in less than a half hour. 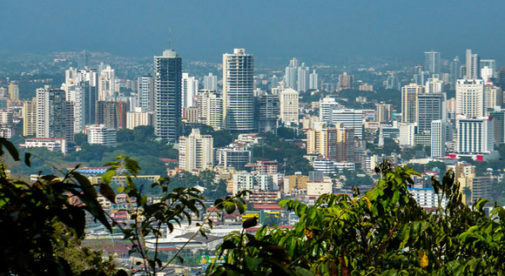 And Panama is said to be one of the easiest countries to relocate to and obtain a visa. When we first moved here we rented a three-bedroom, two-bathroom house in Capira, a small town about 45 minutes away from Panama City, for $300 a month. Located within a Panamanian neighborhood, the house was only three years old and included a nicely landscaped yard. The owner of the home helped us to settle in and became our first Panamanian friend who we’re still close to today. About six months later we stumbled on a house for sale in the little town of Chame, about 90 minutes from Panama City. In close proximity to a large expat community in Coronado, it sat within a Panamanian neighborhood offering us the best of both worlds. Located on about an acre of land, we bought the 2,000-square-foot house for just $90,000. We absolutely fell in love with the property. It’s lined with flowering hedges, plants, fruit trees, and a large outdoor covered bohio (hut) for entertaining. Near the back of the property sits a full bathroom next to a caretaker’s cottage along with a storage building. Life in Panama has come with its share of challenges that we’ve had to overcome. But as the years go on we look around and realize we’re living in paradise. We’re more relaxed, having adopted the locals’ attitude that nothing really has to be done right now because there’s always mañana. We’ve made friends from all over the world and we’re becoming bilingual. We also enjoy a very comfortable life here on much less money. Best of all? We don’t have to go to work tomorrow.